We don't know how the image of a cross, an anchor and a heart became associated with martyred saints in Christianity, but they did. Over time they even worked their way into the tattoo business. The cross stands for faith; the anchor is for hope, and the heart for charity. When looking back at old time flash, especially from Europe, these designs were popular. 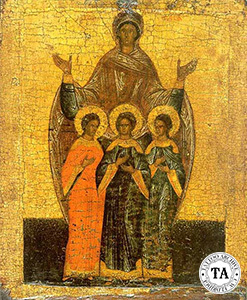 The story goes that three young girls, Faith, Hope and Charity were martyred in Rome early in the second century AD. As with many religious stories, accurate historical information is minimal. Faith Hope and Charity have become virtues that represent the foundation of the Christian religion. Some people refer to Paul the Apostle’s writing in the World English Bible, 1 Corinthians 13:13 when talking about Faith, Hope and Charity. That bible verse goes, “But now abide faith, hope, love, these three; but the greatest of these is love.” This wording was changed in the King James Version of the Bible, “And now abideth faith, hope, charity, these three; but the greatest of these is charity.” I am not a big student of the bible but I have never understood how the words of the Bible get changed. Religious images have always made up a large part of classic designs in the tattoo world. 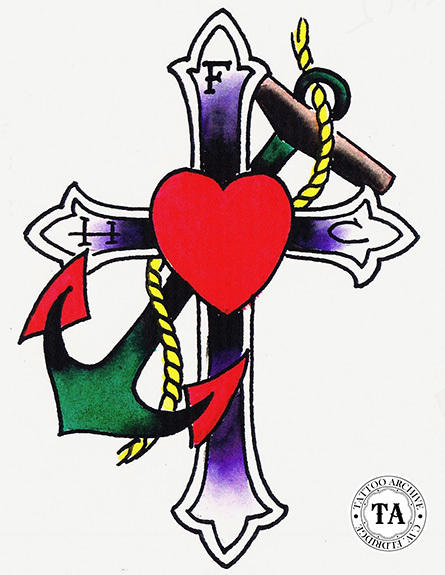 As tattoo flash, Faith, Hope and Charity have many different design versions. Sometimes one element of the design will be emphasized over the other; often the lettering Faith Hope and Charity will be part of the design. To make matters more confusing, Faith Hope and Charity may be abbreviated as F.H.C. 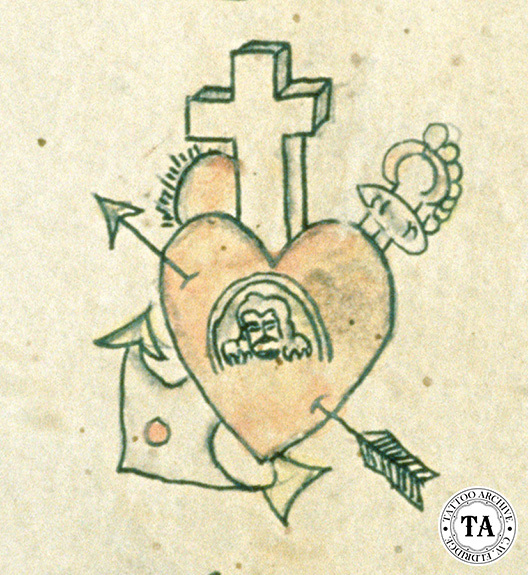 This was often thought to be the initials of the tattooist doing the sheet. In early Christian art the cross was disguised as an anchor; probably because of the discrimination the Christians faced. 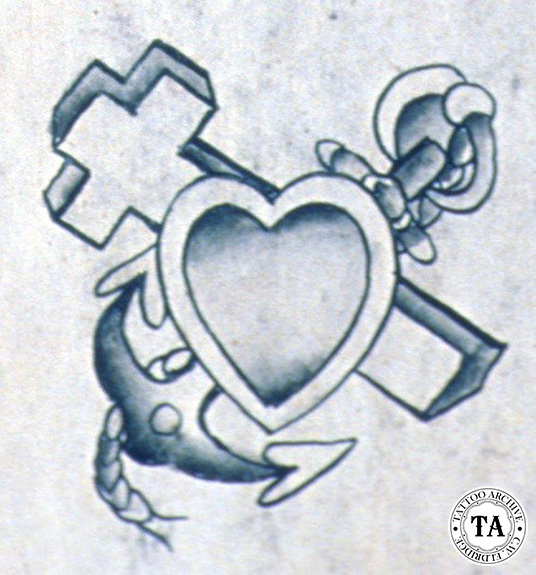 In American flash, the anchor, cross and heart are more likely to be seen separate. Many sheets of flash in Gippi Rondinella's Collection from India, Italy and other countries in Europe show quaint drawings of Faith, Hope and Charity. Gippi himself started tattooing in the 1970s and amassed a great collection of flash from early European tattooists. He shared this flash with the Archive many years ago and we are proud to show some of them to you.